Ezi Solution are pleased to announce the availability of Version 2.0 of Ezi Accounting software, which includes inventory control and invoicing. 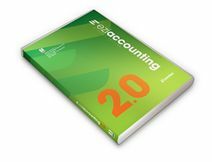 This is the first major release of Ezi Accounting for more than 3 years, There have been many minor releases. Some pricing of licence keys, upgrades and support have been revised for Version 2.0. The cost of a new licence key starts at US$199 for a 1-user system. Upgrading to Version 2.0 costs from US$40 for a 1-user system. Please see the link below for more details. [*]The evaluation period has been extended from 30 to 90 days worth of transactions. [*]Use of Visual FoxPro 9.0 instead of 8.0 which has better support for external libraries that are needed to add to make the system more functional. [*]The reports have been changed to run in the new version. [*]A new security procedure to give more control to the licensing options, so now we can have a Demo version, a Temporary version and a Full version all controlled by the product key.